BRUNNER @ I/ITSEC 2017 IN ORLANDO, USA. HARNESSING NEW TECHNOLOGIES TO WIN IN A COMPLEX WORLD. BRUNNER joins forces with Bohemia Interactive Simulations (BISim) and presents its impressive VR-Motion 200 Virtual Reality Flight Simulator with a fully integrated Virtual Environment package of VBS Blue IG and VBS3. Between November 27th and December 1st, BRUNNER Elektronik AG will participate at I/ITSEC 2017 in Orlando. 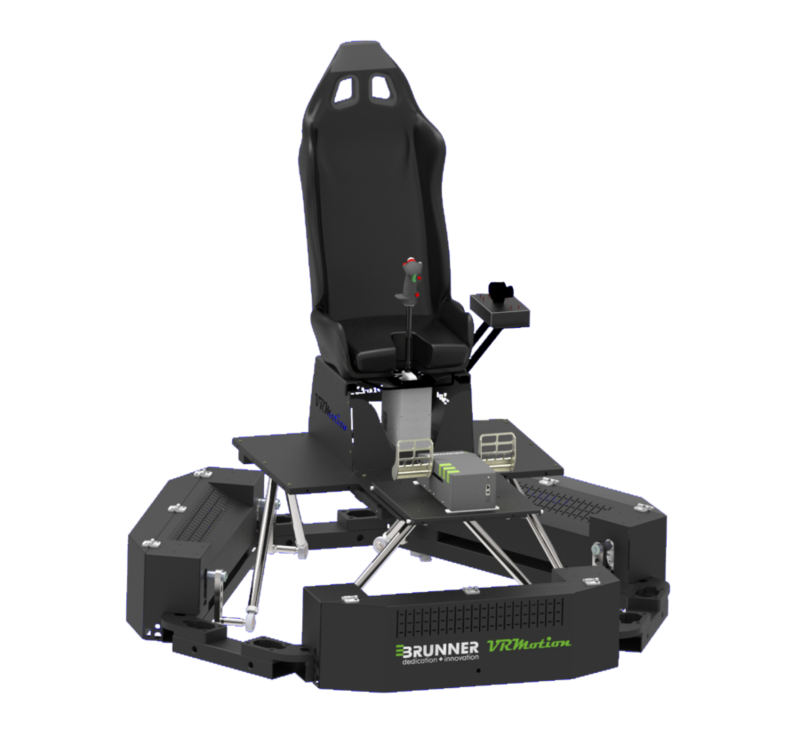 As a proud exhibition partner of Bohemia Interactive Simulations, BRUNNER will demonstrate the VR-Motion 200 solution as a centerpiece of the BISim stand. Fully integrated with BISim’s innovative VBS Blue IG solution and VBS3, the world-leading Virtual Battlespace, VR-Motion 200 VBS will showcase various military training use-cases, its overall versatility and how to achieve best-in-class training value for the money. The Interservice / Industry Training, Simulation and Education Conference (I/ITSEC) is the world’s largest modeling, simulation, and training conference. Held from November 27th to December 1st in Orlando, Florida, USA, I/ITSEC consists of peer-reviewed paper presentations, tutorials, special events, professional workshops, a commercial exhibit hall, a serious games competition, and STEM events for teachers and secondary students. I/ITSEC is organized by the National Training and Simulation Association (NTSA), which promotes international and interdisciplinary cooperation within the fields of modeling and simulation (M&S), training, education, analysis, and related disciplines at this annual meeting. Bohemia Interactive Simulations (BISim) is a global software company at the forefront of simulation training solutions for military and civilian organizations. BISim develops high-fidelity, cost-effective technologies for tactical military training and simulation, like its world-leading VBS3 Virtual Battlespace solution. VBS Blue IG is a high-performance 3D whole-earth image generator designed to supports the full spectrum of land, sea, air and space use cases for collective and individual training. VBS Blue IG provides state-of-the-art, WGS-84 round-earth rendering at a high level of procedural detail and offers VR/AR capabilities out of the box for full mission simulators and part-task trainers like our VR-Motion 200. Please take the opportunity to meet Roger Klingler (CEO) and Mario Ackermann (Manager Sales & Marketing) of BRUNNER Elektronik AG at I/ITSEC 2017. Being stationed at the BISim Stand (Stand 2235), Roger and Mario will be glad to introduce the VR-Motion 200 VBS in all detail and to answer any question you may have. Also, come and enjoy your personal test-ride !